Edward G. Robinson set a new standard for the "gangsta" role. 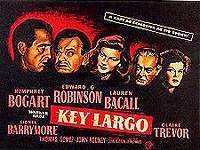 Edward G. Robinson gave his remarkable mobster performance in Key Largo, directed by John Huston. 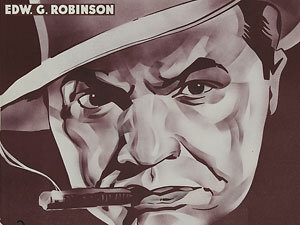 Client Edward G. Robinson set a new standard for several characters he played as a "bad guy". The ever gentlemanly Mr. Robinson with his lovely wife were clients of many years. We fondly remember having staffed their homes and all reports came back that he was actually, quite a "good guy".